At the high end you will find a surplus of opportunities. 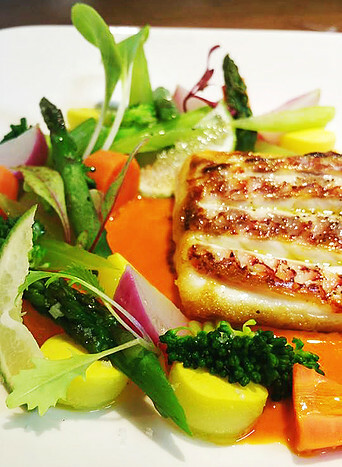 For any faster practical eating out matter you may get a slower service but the food will never disappoint. 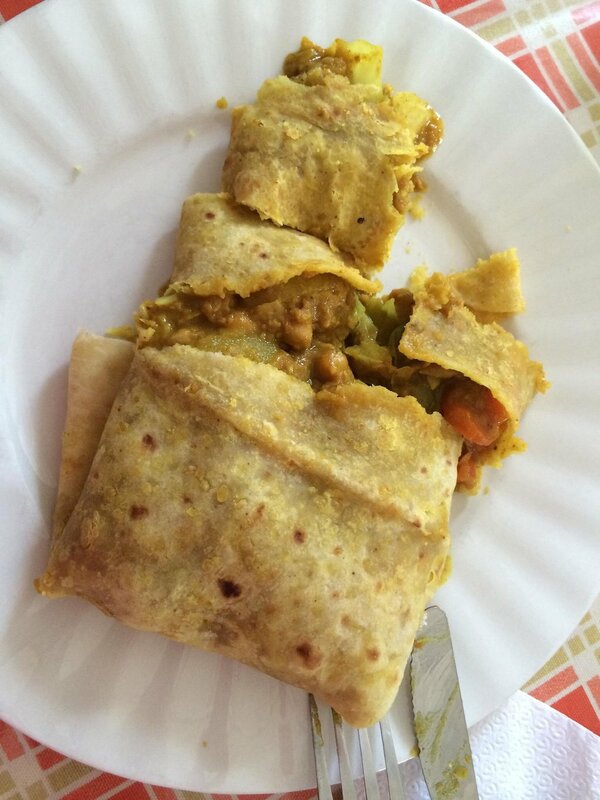 You don't hear it said but Antiguans are very proud of their culinary skills. 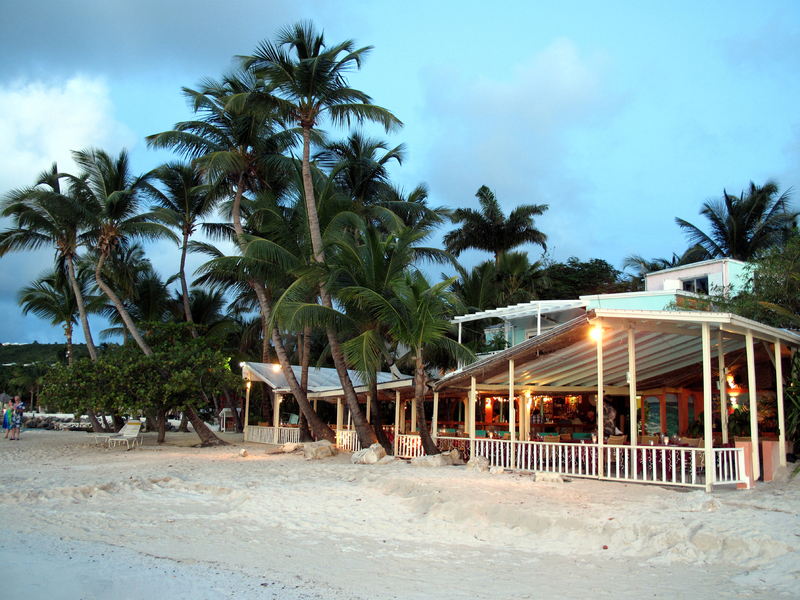 Sheer rocks looks fabulous and you dine at the waters edge ovelooking the west Caribbean sea. 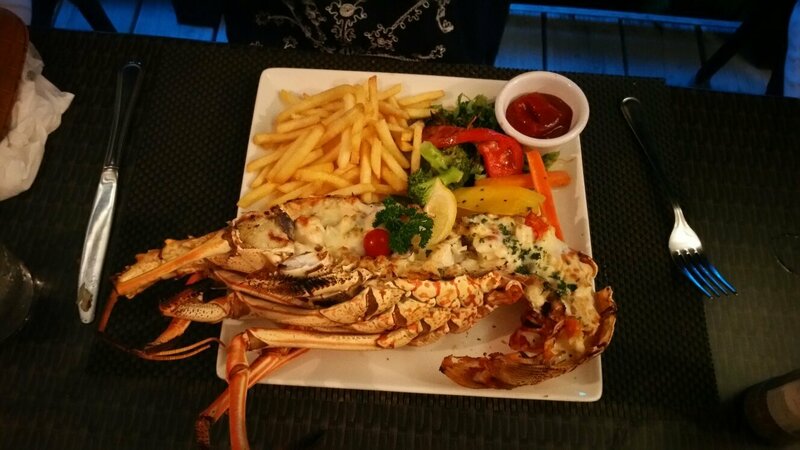 At times you crave a top sea food restaurant and this should be on your list. 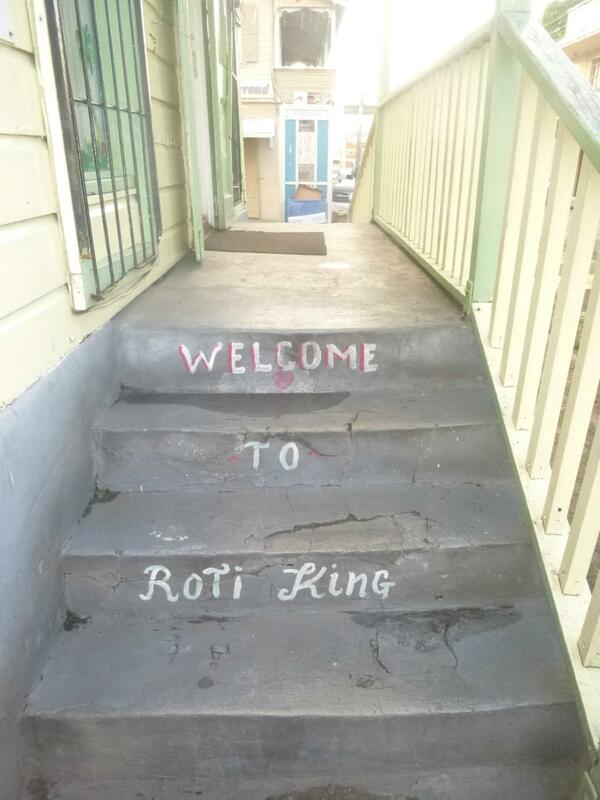 When you want fast healthy food in St Johns (for all you tourists) then the pick is ROTI KING. Delicious. I find not enough places do curry that is in fact a caribbean dish. There are good veggie options too. 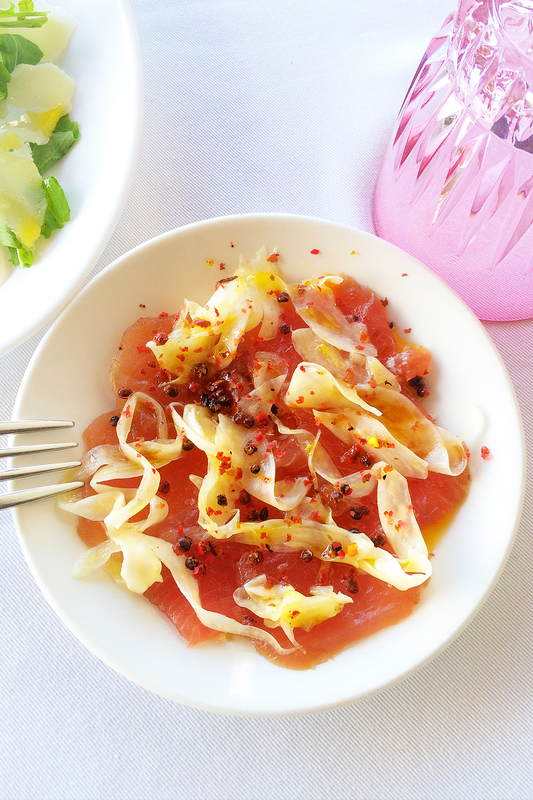 Unpretentious quality food. 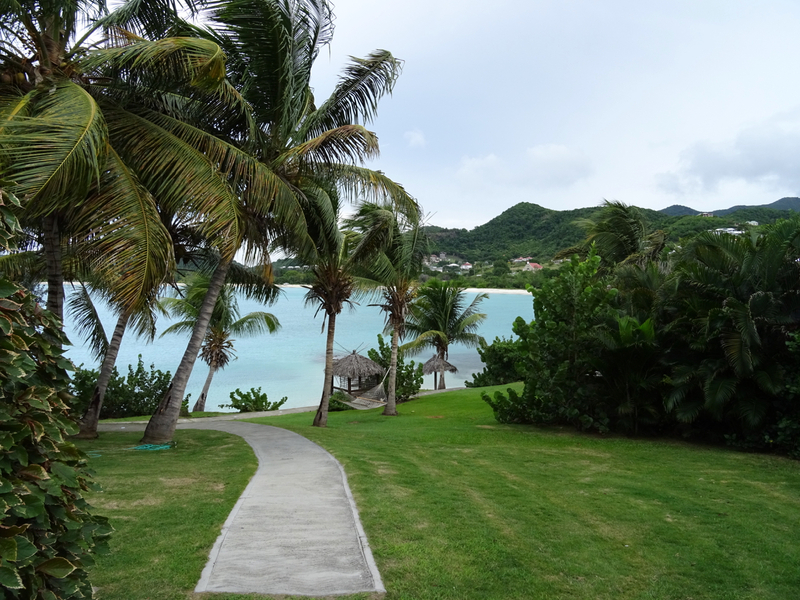 A lovely setting at the far end of pigeon point beach in English Harbour Catherine's brings more chic to Antigua. It's a nice trend and welcomed by locals and boutique travellers alike. 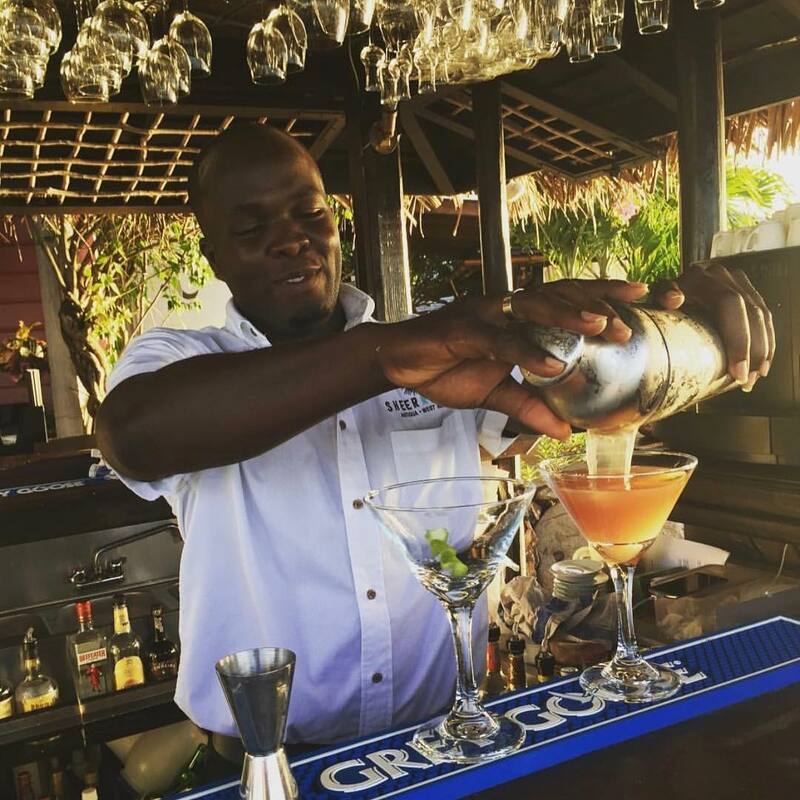 From international to Caribbean and local Antiguan food the island's restaurants and eateries have you covered. Click on the filters bellow to narrow down your eating drinking options for example choose to find a restaurant in St Johns or the South West of Antigua. 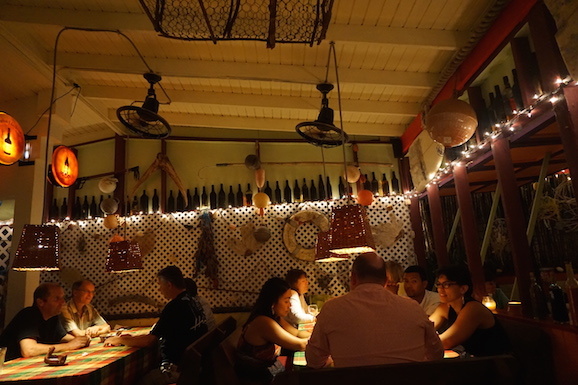 Good food and of course wine in a stylish cool part of Antigua's capital. 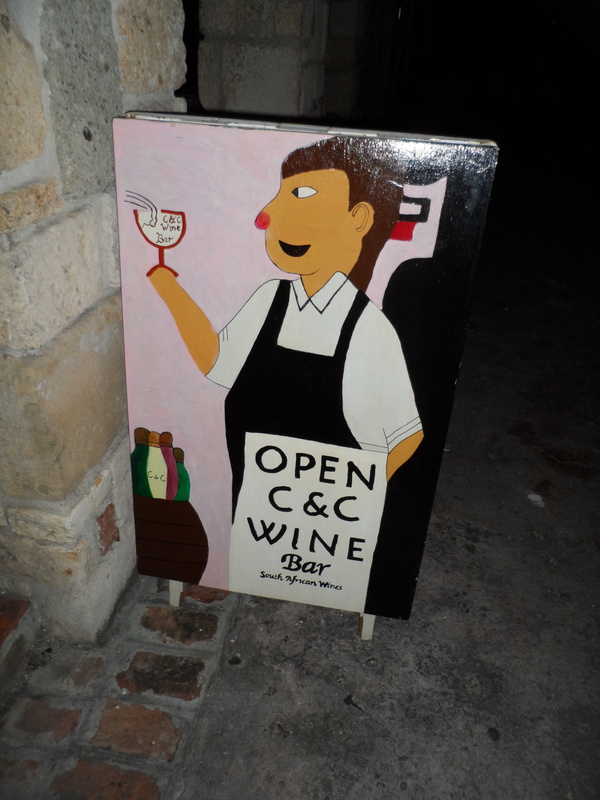 The C and C wine bar is a nice place in the day and evening. ..get on the right trail with this guide. 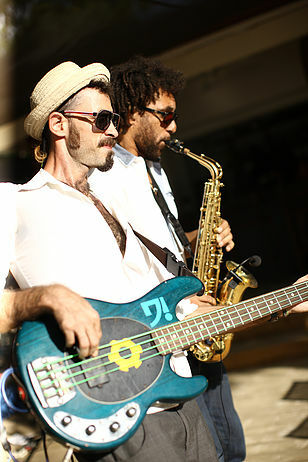 "No matter where you are staying in Antigua you should strike out to find the following places if you like to be trendy. We will also give you the links you need to plugin to the best event guides and nightlife for the island in and out of season." Sheer Rocks brings a chic feel with four poster daybeds and plunge pools setting up a whole afternoon of relaxation in style. 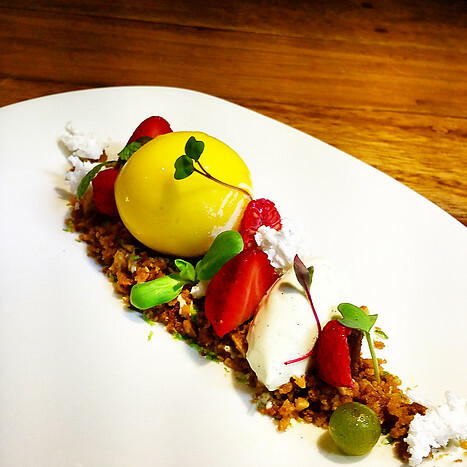 Snack on tapas or eat from the al a carte menu. 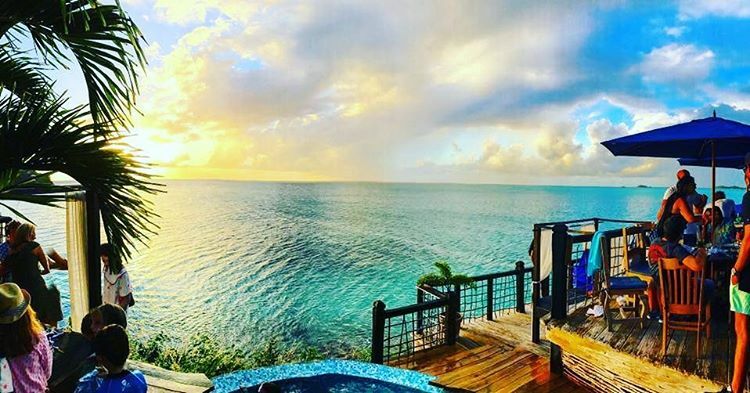 You can of course just pop in for a sunset cocktail under bougainvillea pavillions and the Antigua evening cliffside air. 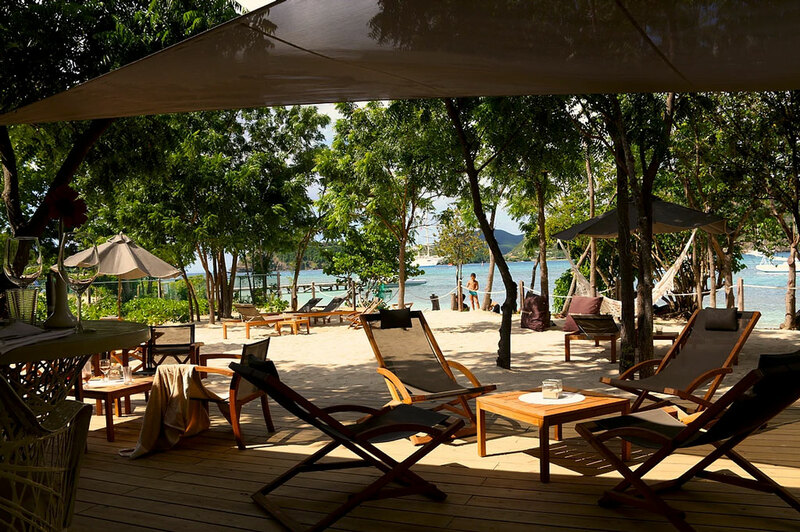 A great place to watch the sundown with great service and an expat feel. Evening entertainment depending on the evening is good from a dj night to karaoke and more. The views of the yachts at Jolly Harbour and the alcohol give rise to feelings of pleasure. 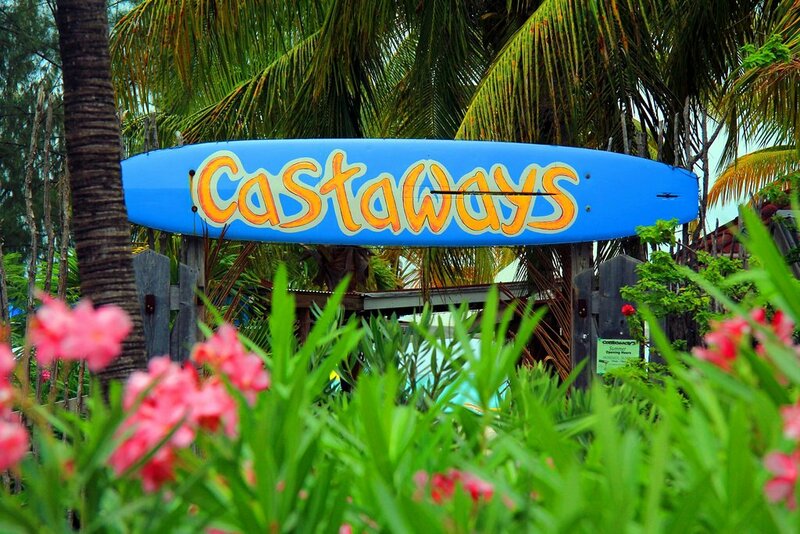 A great first stop before your Antigua Jolly Harbour Restaurant. 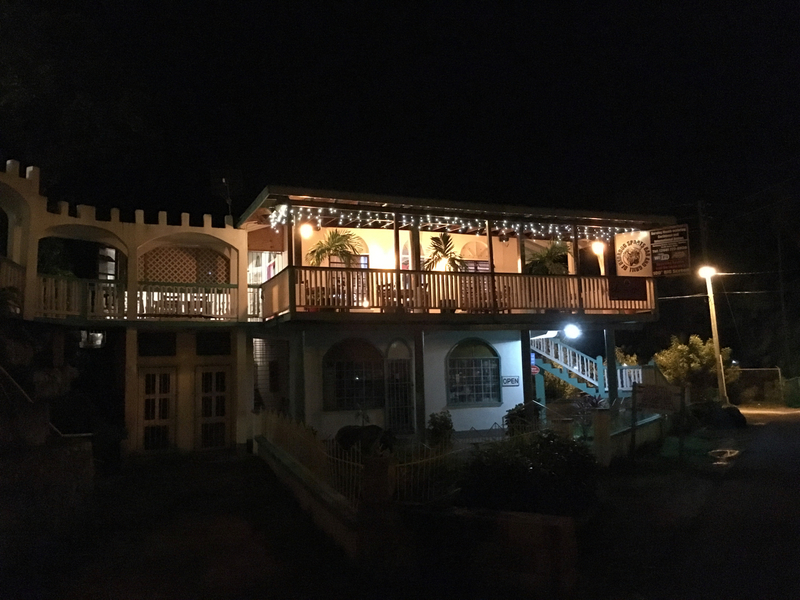 Trappas in season is one of the best restaurants to visit if you happen to be in Falmouth or English Harbour area. Outside and inside seating available. International and local cuisine. The Cove Restaurant located at Blue Waters hotel and resort. 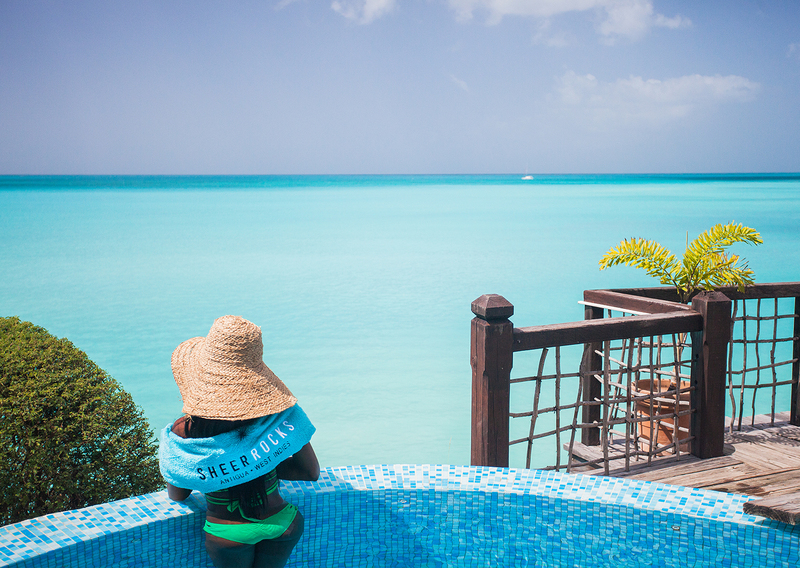 Situated at the popular romantic resort of Blue Waters in the north of Antigua is the Cove. 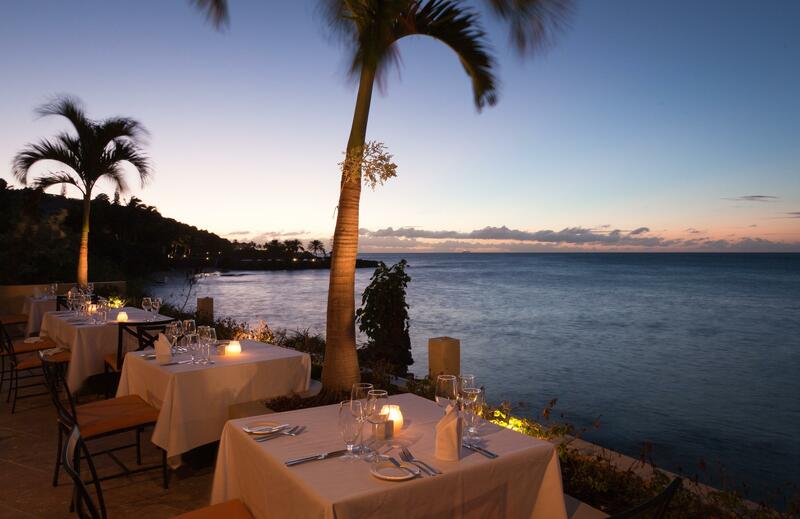 Views of the sunset over dinner coupled with a nice atmosphere make this an interesting restaurant option for those staying in the north in the vacation rentals or the few resorts of Dickenson Bay area. 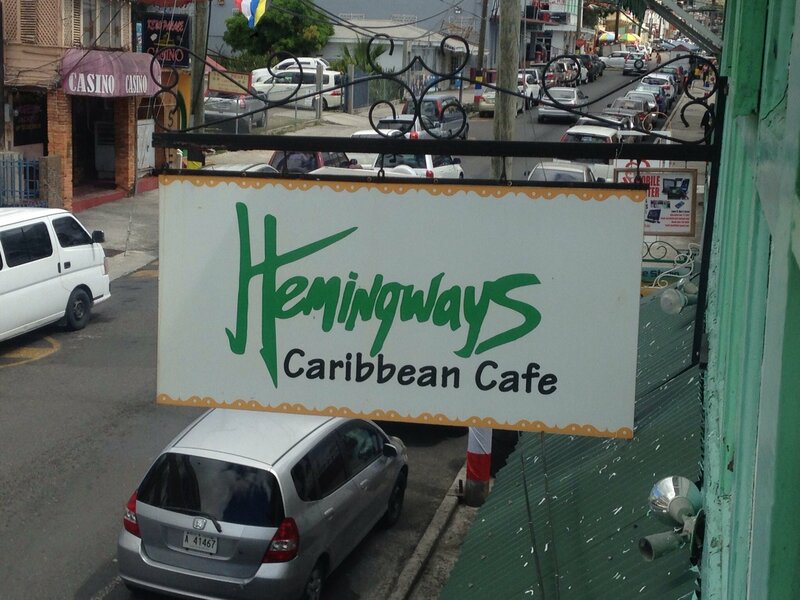 Hemingways located in St Johns might be your eatery of choice regardless if you arrive by cruise ship. Intenrational and Caribbean cuisine cooked expertly by the in house chef of 11 years ! Probably the best sports bar in Antigua - maybe the only one really. 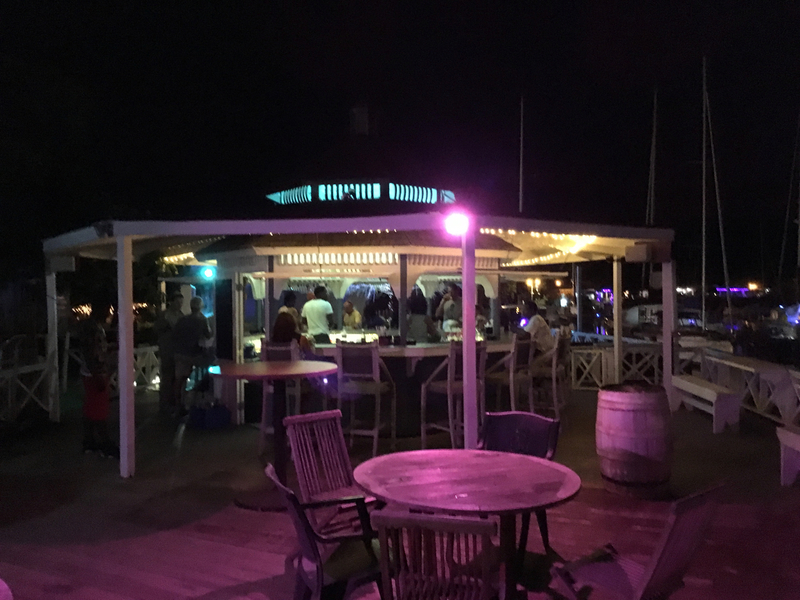 Certainly the go to bar in the Jolly Harbour area. Rumour has it they are opening up in the mornings to show english premier league football. The food is very good too. 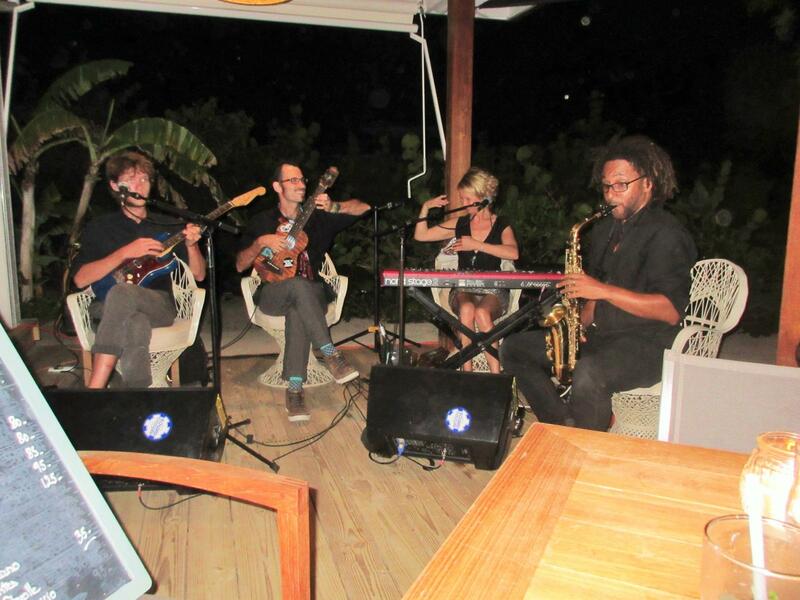 You will get to mix with locals and expats alike. Marc the manager certainly knows how to run a good bar with his experience of managing bars all over the world. It's almost a theme for the bar as well with flags adorning the walls and ceiling.